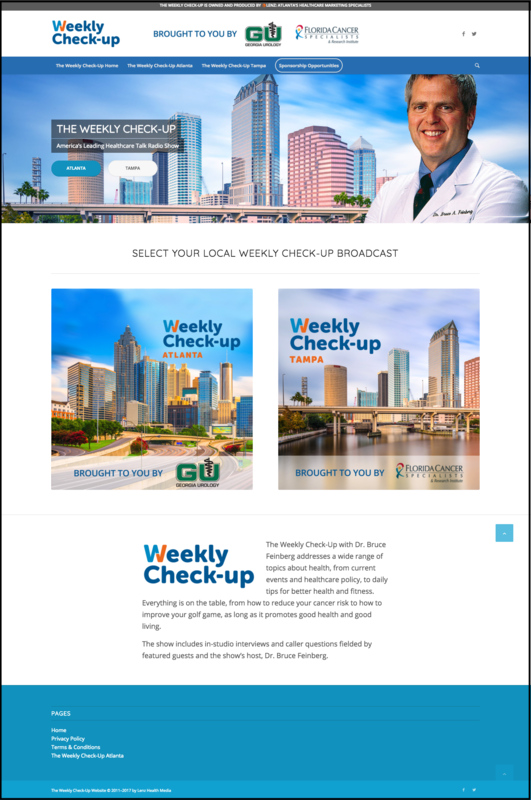 “The Weekly Check-Up,” a healthcare radio show owned and produced by Lenz, recently adopted a new brand and updated look for its website. The Weekly Check-Up, airing in Atlanta, Georgia and Tampa, Florida, addresses a wide range of topics about health, from current events and healthcare policy, to daily tips for better health and fitness. 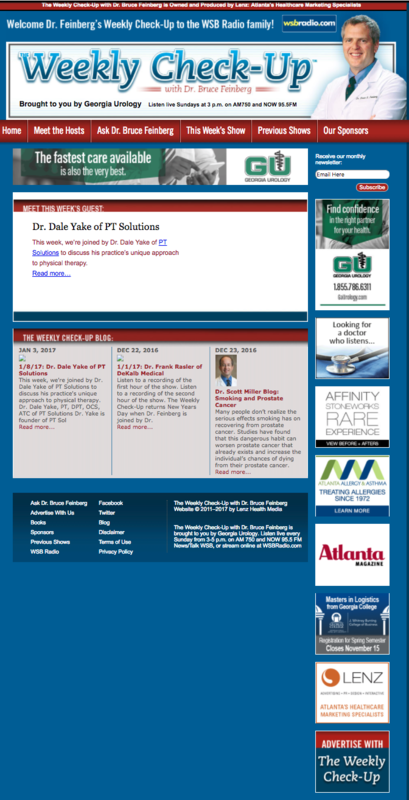 In Atlanta, The Weekly Check-Up is hosted by Dr. Bruce Feinberg and presented by Georgia Urology. In Tampa, the show is hosted by JoJo Petrella and presented by Florida Cancer Specialists. Check out the new site compared to the old one below!